This is a list of fishing related websites from around the world, but with particular emphasis on websites giving information about trout, salmon and sea trout fishing here in Scotland. Salmon Fishing in Scotland A guide to salmon fishing in Scotland, featuring maps and information on 75 Scottish salmon rivers. Trout Fishing in Scotland A guide to trout fishing in Scotland, featuring maps and information on Scottish trout lochs and rivers. 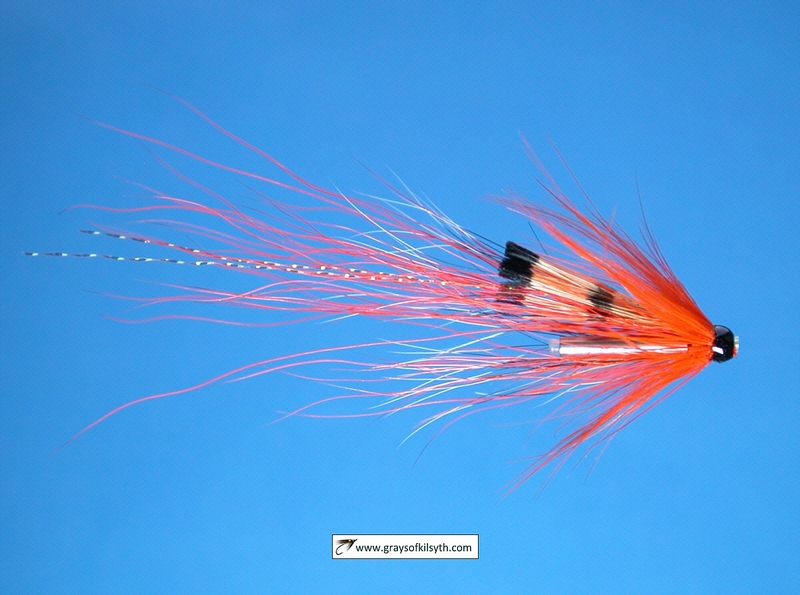 Tube Flies Tubes, Tube Flies and Tying tube flies on Needle Tubes, ultra slim stainless steel tubes, specially developed for salmon, steelhead and sea trout tube fly fishing. Fishing in Scotland The fishing pages of VisitScotland. FishScotland Useful site giving information about fishing in Scotland. FishSalmon Salmon fishing in Scotland. FishTrout Trout fishing in Scotland. Fishing in Scotland Guided salmon and trout fishing holidays, Spey casting and fly fishing tuition. Sea Trout Fishing A new website about sea trout fishing on the rivers of Scotland, England and Wales. Flyfish Scotland Website offering fly fishing instruction by Ally Gowans plus trips and vacations in Scotland. Skye Salmon Salmon and sea trout fishing on the River Snizort, Skye. Day permits available. Abernethy Angling Association invite applications for membership of the association, offering ten miles of superb salmon and sea trout fishing on the River Spey. Crieff Angling Club Salmon, trout and sea trout fishing on the Crieff Angling Club water of the River Earn. Jedforest Angling Association The association controls five miles of excellent salmon, trout and grayling fishing on the River Teviot in the Scottish Borders. East Lothian Angling Association Salmon, trout and sea trout fishing on the East Lothian Tyne. Orkney Trout Fishing Association Excellent guide to the brown trout and sea trout waters of the Orkney islands. Stornoway Angling Association Loch and river fishing on Lewis. Caurnie Angling Club Based in Kirkintilloch, central Scotland, the club manages the trout fishing on Antermony Loch. Visitor bank permits available. Avon Angling Club The Avon Angling Club manage the fishing on the River Avon, a major Clyde tributary, with permits available to visitors at very reasonable prices. Paisley Abercorn Angling Club Club manages trout, sea trout, salmon and grayling fishing on the rivers White Cart, Black Cart and Gryffe. Permits and membership available at reasonable cost. Linlithgow Angling Club The club manages the trout and sea trout fishing on a stretch of the River Avon. Kelso Angling Trout, salmon and grayling fishing in the Scottish Borders. Shetland Anglers Association Information on Trout fishing in Shetland. Upper Avon Angling Association The association manages the fishing on the upper Avon and Glengavel Reservoir. Free fishing for under 12s. Peebles Trout Fishing Association The association managet rout and grayling fishing on 23 miles of the Tweed and 5 miles of the Lyne Water. Atlantic Salmon Trust Salmon and Sea Trout conservation. The Wandle Trust An ecological charity committed to cleaning up and restoring the habitat of the River Wandle in south London. The Grayling Society Promoting awareness, conservation and angling for grayling worldwide. Sewinfly Sea trout fishing in South Wales. Old Maps Old maps of places in Great Britain, featuring detailed maps of towns in England, Scotland and Wales as they were fifty years ago. Find an old map of an English, Scottish or Welsh city or town. Maps of London Old maps of London, featuring detailed maps of the city of London and the London Boroughs, as shown on the Bartholomew half inch map series of last century. Fishing in Wales Good coverage of fishing in Wales. The Llandysul Angling Association site is particularly good. Aberystwyth Angling Association Information on sea trout fishing on the River Rheidol. Seiont Gwyrfai and Llyfni Fishing Society Sea trout fishing in north west Wales. Dolgellau Angling Association Prime sea trout fishing on 13 miles of the Mawddach and Wnion. Merthyr Tydfil Angling Association South Wales Angling Association with salmon, sea trout and brown trout fishing on a variety of rivers and stillwaters. Derwent Angling Association Fly fishing for brown trout and grayling in north east England. Teifi Trout Association Fishing for salmon, sea trout and brown trout on the River Teifi with the Teifi Trout Association. Mitre Angling Club Fishing on thirteen miles of rivers, including stretches of the Ribble, Calder and Wharfe, and on two stillwaters in the Lancashire and Yorkshire countryside. Crediton Fly Fishers Fishing in Devon on rivers controlled by Crediton Fly Fishing Club. Upper Teign Fishing Association 12 miles of trout, salmon and sea trout fishing on the upper reaches of the River Teign in the Dartmoor National Park, Devon. Fishing is available to the general public through day permits or applying to Hon. Sec. for membership. Dart Angling Association Nine miles of fishing on the River Dart. Day permits available. Llandeilo Angling Association Managing 9 miles of prime sea trout fishing on the River Towy, Wales. 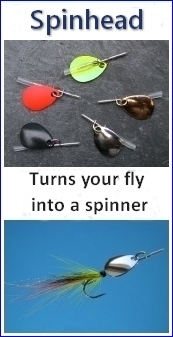 Flytier Hans Weilenmann's excellent fly tying site, with superbly photographed flies from tyers worldwide. www.puresalmon.org Organisation campaigning to raise standards in the salmon farming industry, to improve the way salmon are produced and reduce the associated environmental damage. The Atlantic Salmon Federation is an international organization which promotes the conservation and wise management of the wild Atlantic salmon and its environment. Edmonton Trout Fishing Club Fly fishing club in Edmonton, Alberta, Canada. British Columbia FFF Trout and salmon fishing and conservation in British Columbia, Canada. 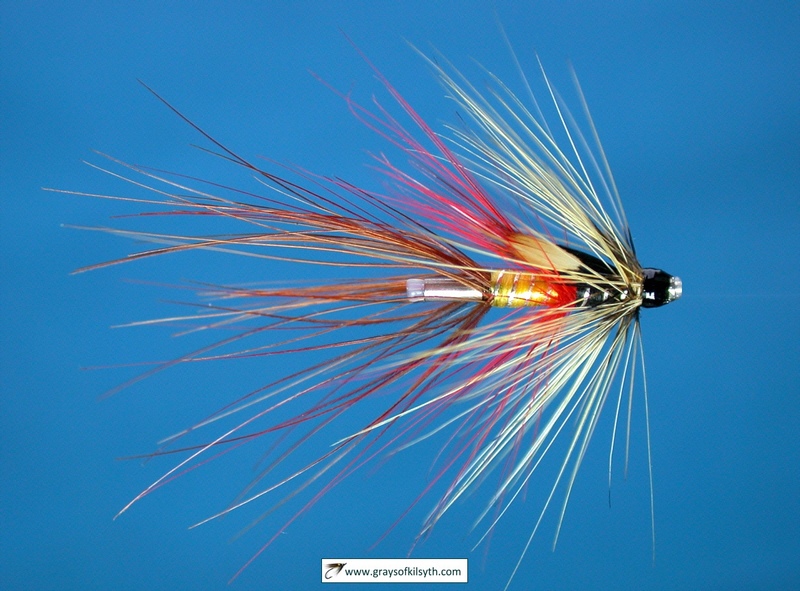 The Classic Salmon Fly Site focussing on the classic salmon fly patterns - the history, the dressings and the tiers. Fishing New Zealand Fly fishing in New Zealand - brown trout and rainbow trout fishing vacations. FishIceland Information on fishing availability, catch reports and river conditions on Icelandic rivers. 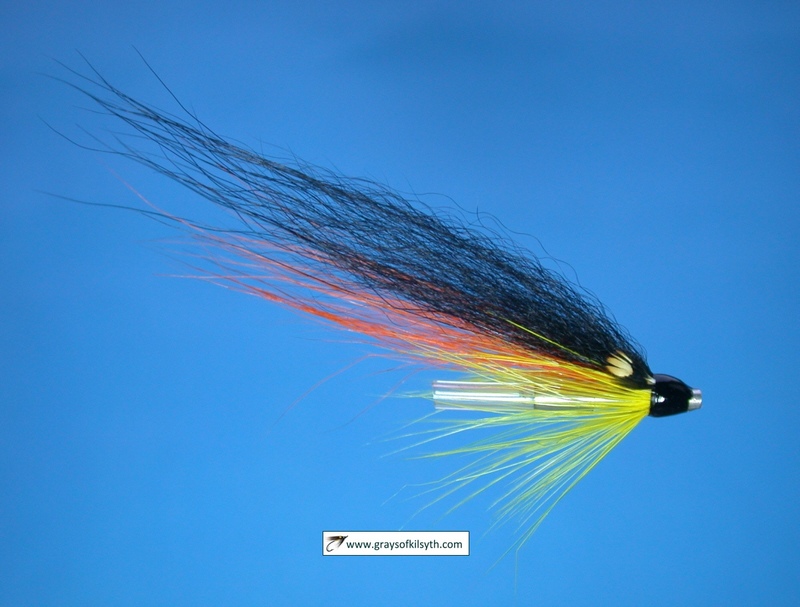 The Canadian Tube Fly Company A good range of tubes and tube fly tying materials.